Machine washable (Wash inside out). These high school, college, university style t-shirts are custom printed in the UK. 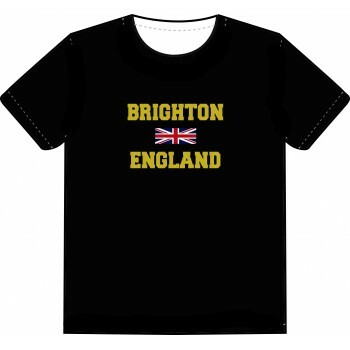 This is a Souvenir T Shirt Brighton but we can print any city of your choice in the same format. Wide range of sizes and colours to suit all. Grab yourself a bargain right now. Need 10 or more? Or your own custom design? Please feel free to ask about our special discount.